This entry was posted in Dolls and tagged crocheted angel. Bookmark the permalink. Hallo! Ich habe dir ein E-mail geschickt. 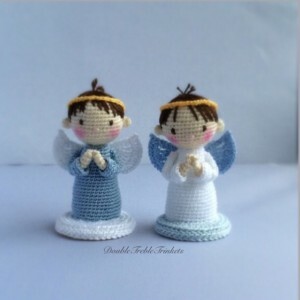 Thanks for your very cute angel pattern. Could you indicate how I make the ears? Tolle Anleitung ! DANKE ! Hallo, ich würde schrecklich gerne auch mal so süße Figürchen häkeln, leider verstehe ich die Abkürzungen nicht. Gibt es dazu irgendwo Erklärungen? Danke! How do you make the Arms??? I love these cute little angels. I wish you could see the wings before buying them. I see the pattern picture on Ravelry, but can’t tell about the wings from picture. Serena…the wings are part of another pattern that has deveral dolls in them. Very worth the money. I have to agree with Yvonne. While it’s very kind of you to share your lovely patterns, why then make the wings a sepreate item that we would have to pay for? I do love your little angles, they are so sweet, but surly all angles need to have wings? Otherwise, they can’t really be angles. Your angels are the cutest ever!!! Thank you for your great work and for sharing it. 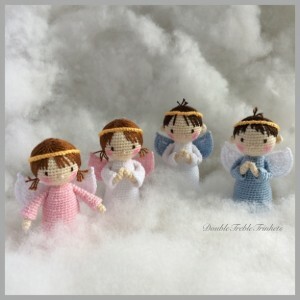 These angels , are very nice ! Thank you for the patterns ! These are stinking cute! Thanks! How can I buy your items? They are so cute. Why pay for the Wings? 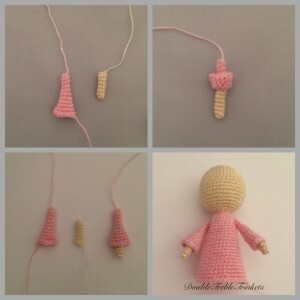 I agree why offer the pattern for free and then charge for the wigs to finish it doesn’t seem fair to me. But thanks for part of the pattern anyways. Hi, I’m interested in purchasing them. Anyone know where or who can make them? hi, thank you very much for your interest in my crocheted angels. I get the angel for free, but I have to pay for here hair? 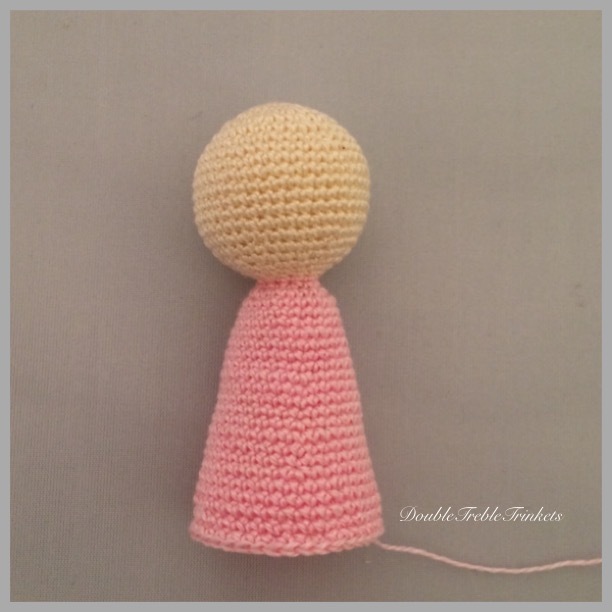 May I know if the body needs to be stuffed before sewing onto the base? I can’t crochet after a diagram 😐So what to do about the wings ? I love your little angels. Thanks for sharing this pattern.